Those who want simply Biblical exegesis will be challenged good! The in-depth look at the diverse biblical creation accounts and the various modes of understanding that we can gain from them both individually, and even more so, side-by-side was fascinating. 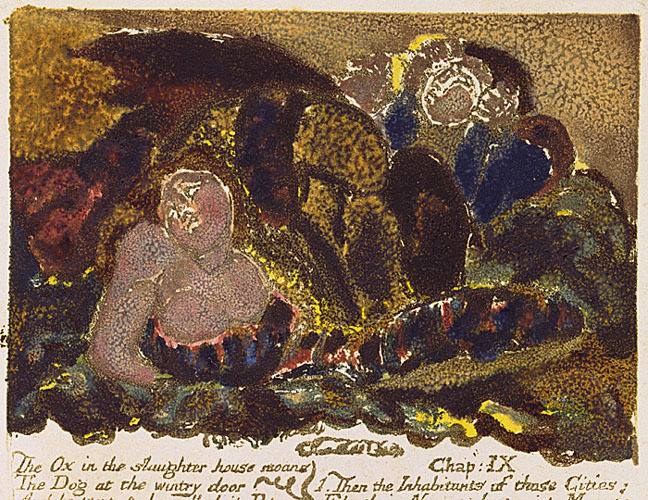 Brown's study of Genesis 1-3 is the most thoroughgoing of his textual treatments. 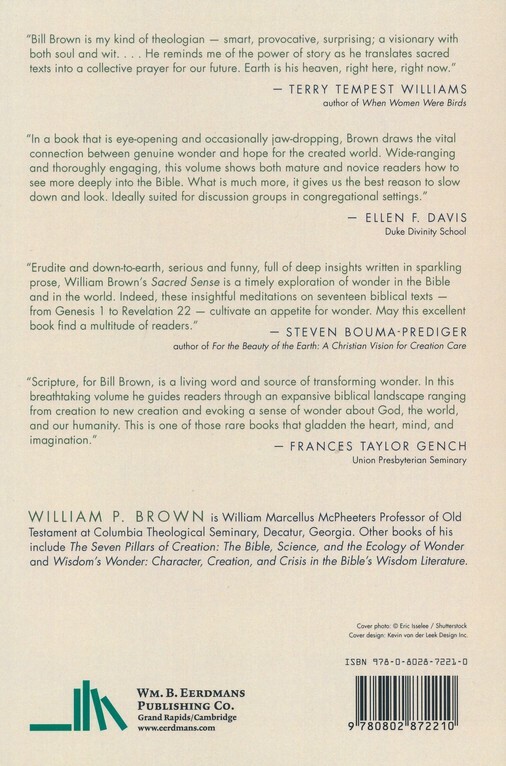 Brown shows that, through a close reading of biblical texts, no fewer than seven different biblical perspectives on creation can be identified. Wisdom' World Proverbs 8:22-31 has a brief survey of quantum physics, neurobiology and cognition. It also describes the cosmic temple with no mention of or reference to John H. Based in refreshing translations of seven key texts and equally refreshing commentary, the author seeks to bring new light to the relationship between the Hebrew Bible and science. He has obviously done his scientific homework, but what we end up with is a theologian summarizing the findings of science. An interesting approach to biblical interpretation. An engaging book about reconciling religious and scientific narratives of creation. The aim, however, is not to seek an artificial harmony that forces Scripture to fit science or science to fit Scripture. The connections he This is as fine a book on eco biblical theology as I have read over the last eight years. In the last chapter he dealt with how the present will impact the future. What makes the work unique is its deep engagement with contemporary biology and ecological science. The Passion of the Creator Psalm 104 describes creation as an ongoing process and contains a rant against man's destructive impact on the environment. Brown begins with a thoughtful introduction that addresses issues of biblical authority and hermeneutics and offers a sampling of ancient Near Eastern literature. Westminster Bible Companion; Louisville: Westminster John Knox, 1996, book Character in Crisis: A Fresh Approach to the Wisdom Literature of the Old Testament. This reader wonders what insights would have emerged had he treated the two accounts as one; canonically, it could be argued that such a combined account is a single pillar of creation—or a third one altogether. This is as fine a book on eco biblical theology as I have read over the last eight years. But, as William Brown asks, which biblical creation story are we talking about? But, as William Brown asks, which biblical creation story are we talking about? The language of sovereignty is used, but the descriptors do not correspond to common definitions of that word. But, as William Brown asks, which biblical creation story are we talking about? Eerdmans, 1996, book Structure, Role, and Ideology in the Hebrew and Greek Texts of Genesis 1:1 - 2:3. This is important work as our attitudes are shaped by our theology including atheism as a theology. There was a lot about this book that I loved. His purported focus on the ecology of wonder was often subverted to the tasks of elucidating the texts and the science, but he returns to the theme in his last chapters. The Fabric of the Cosmos: The Emergence of New Creation in Isaiah X. Never are the two better joined in concern that Homo sapiens, 'the dirty groundling made to image God,' celebrate and save life on wild Earth. The overarching question is: How do we in. My favorite chapters are on Job and 2nd Isaiah, but the main point is that all these are more than the sum of their parts, and there's no better way to show how big the theology of creation is than to actually step beyond the first three chapters of the Bible. Eerdmans, 1999, Obadiah - Malachi. By examining these perspectives, Brown illuminates both connections and conflicts between the ancient creation traditions and the natural sciences, arguing for a new way of reading the Bible in light of current scientific knowledge and with consideration of the needs of the environment. What does it mean to be human, not simply according the 'seven pillars', but also according to where creation is headed? Those who want to see only science would do well to ponder the experience of wonder. Eschatology, for me, was the 'missing link' pardon the pun. But as William Brown asks in this stimulating volume, which biblical creation story are we talking about? One reviewer commented that reading Brown's book is like reading with the journal Science in one hand and the Bible in the other. Variation, by contrast, constitutes the story of cosmic evolution as it does the Genesis story of creation. Brown shows that, through a close reading of biblical texts, no fewer than seven different biblical perspectives on creation can be identified. The whole point of the book is that there are five other accounts of creation beyond the two at the beginning of Genesis, and we need to read them all together. In The Women of Easter, readers encounter the Savior in a fresh way through the lives of Mary of Bethany, Mary of Nazareth, and Mary Magdalene. The result is a book that calls forth praise, an ethic of responsibility and, of course, wonder. This is accessible to a wide audience and I strongly recommend it, especially if you have any doubts that science and religion have anything to offer each other. The study concludes with an appeal to forge a working relationship between science and biblical faith for developing a theologically and empirically informed ecological wisdom. Brown Oxford University Press Creation has long been a neglected child in biblical-theological studies; it is ground often left to creationists and naysayers. Alongside this theological shift as been an increasing pace of advancement in scientific understandings of the world. Based in refreshing translations of seven key texts and equally refreshing commentary, the author seeks to bring new light to the relationship between the Hebrew Bible and science. William Brown is an Old Testament scholar who has ventured into the unforgiving land between science and religion. These pillars cannot be homogenized into a single, comprehensive account; they are testimony to divergent biblical views of creation. 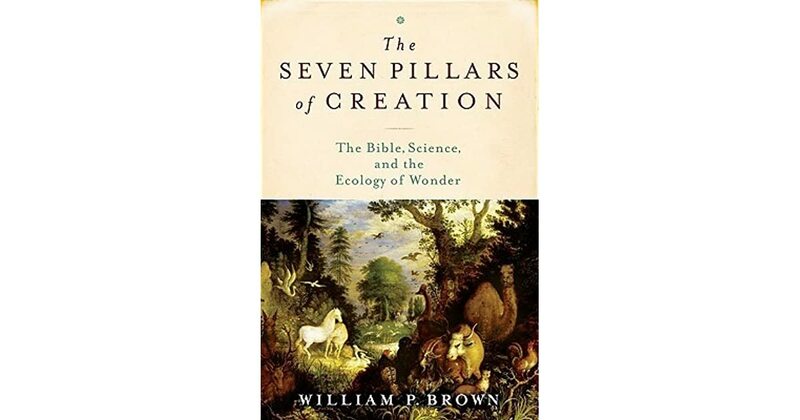 Brown's book centers around what can be learned from the seven creation accounts in the Bible. Brown offers readings of 7 creation stories in the Old Testament alongside discussions of scientific narratives that illuminate and are illuminated by the biblical text. The overarching question is: How do we interpret and appropriate the ancient creation traditions in the light of what we now know from science? I enjoyed the historical backdrop, the scientific insights, and certain theological insights. Brown is Professor of Old Testament at Columbia Theological Seminary and the author of several books and numerous articles on the Bible and its interpretation. Specific interests include creation theology, faith and science dialogue, the Psalms, and wisdom literature Proverbs, Job, and Ecclesiastes. Award-winning author and speaker, Liz Curtis Higgs is the author of over thirty books, with well over two million in print, including her nonfiction bestseller, Bad Girls of the Bible, and her best-selling historical novels, Mine Is the Night, Here Burns My Candle, and Thorn in My Heart. However, there are better introductions and better advanced works on integrating science and the Bible, if that is what you are looking for. In certain cases, science deepens and underscores the interpretive scope of the ancient text. As a result of this ongoing debate, many people of faith feel forced to choose between evolution and the Bible's story of creation. New York: Oxford University Press, 2010, book Psalms. His 1999 book on the biblical theology of creation, The Ethos of the Cosmos: The Genesis of Moral Imagination in the Bible, charted new directions, including explorations of the relationship of ethics and cosmology. I thought his chapters on Psalm 104, Job and Proverbs were his strongest. But, as William Brown asks, which biblical creation story are we talking about? Atlanta: Society of Biblical Literature, 387-405. His writing is inviting to nonexperts, which include this reviewer, who yearn to know more about engaging biblical faith and science in constructive rather than confrontational ways. He treats the two creation accounts as separate pillars, and his discussion has strong theological emphases. Rather, the goal is to facilitate a constructive dialogue between two independent disciplines that are rooted in wonder — biblical theology and science — in order to gain new wisdom about how to live responsibly in the world, to care for creation. Eerdmans , and Sacred Sense Wm.